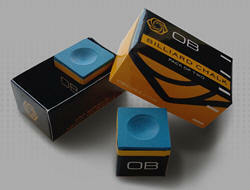 Performance Shirts, Joint Protectors, Chalk & Weight Kits OB Chalk is Here! Owen Bunnell Inc. (OB) warrants, to the original retail purchaser, all OB products to be free from defects in material and workmanship for the life of the product when purchased from an authorized OB Dealer. Please note that warpage is not covered under our warranty if you have an 'original' OB Shaft. However, warpage IS covered under our warranty if you have an OB Plus Shaft. You can tell if you have a plus shaft by looking at the logo on the bottom of your shaft, if it has a + symbol to the right of OB then you have a plus shaft. Authorized OB dealers can be direct retail dealers as well as network retail dealers. 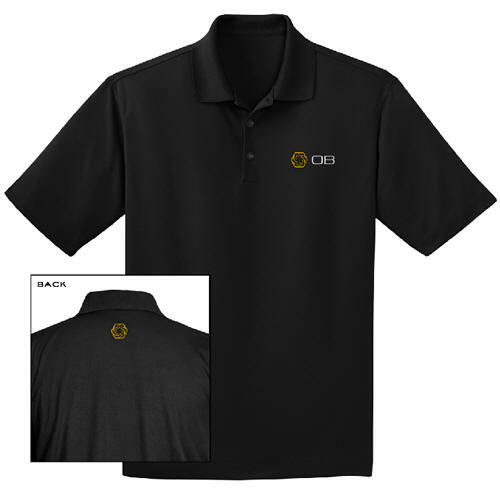 Direct retail dealers work directly with OB, whereas network retail dealers operate through our distributor network. BilliardWarehouse.com is a direct retail dealer. Product registration is required within 90 days of purchase and should be completed on OB Cues website HERE. Failure to fully complete the product registration in a timely fashion may lead to difficulty and/or delays in getting warranty service. In the event an OB product needs repair or replacement, it must be returned to OB Cues with their product return form which can be found HERE. Once OB Cues receive your product with a product return form then we will inspect it and make a determination of warranty coverage. All warrantable issues will be repaired if possible. In those circumstances where the warrantable issue is not repairable, the product will be replaced. If the condition is not a warrantable issue, OB will contact the owner with an estimate for repairs, or replacement. In the event OB receives a package with no discernible contact, the package will be held until claimed. At that time, the item can be considered for determination of warranty coverage. Damage due to abuse or neglect. Warpage. Most cue manufacturers do not warranty warpage. At this time, warpage is not covered under warranty by OB. However, as mentioned above, if you have a plus shaft then warpage is covered. Damage caused by playing with OB Shafts without the carbon fiber pad which is placed between the tip and the ferrule. Custom joint work provided outside OB to fit a partial OB Shaft to a cue. When a partial OB Shaft is the original purchase from OB, then OB will replace any defective product with another partial OB Shaft. Switching or changing OB Shaft models. 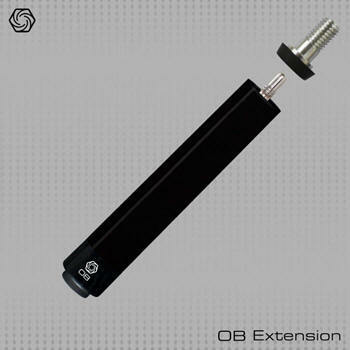 If an OB Shaft needs to be replaced under our warranty, it will be replaced with the same model as originally purchased. 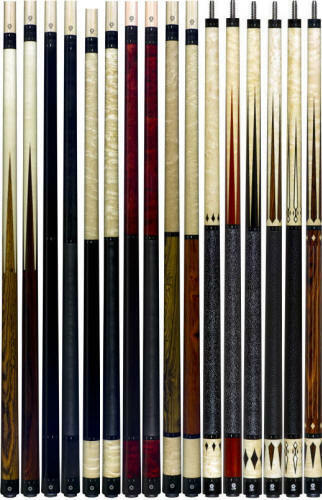 In the event that particular model is not available, then OB will choose the most appropriate replacement cue shaft. This is the sole warranty of OB and no other warranties are either expressed or implied, in fact or by law. OB liability is limited to the replacement of the OB product. OB shall not be liable for any consequential, special, incidental or punitive damages resulting from or caused by any failed OB Products. Please make sure that you include the OB product return form inside the box. If you need to return your cue or shaft to us for repair or for a warranty issue, please consider the following recommendations for packaging. 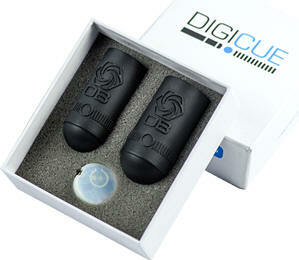 Wrap your cue or shaft in either foam wrap or bubble wrap to protect it from bumps, dents, and scratches. Don't build up the wrapping so much that the cue or shaft is tight inside the box. Doing so could cause the shaft to be bent if the package or box is bent during shipping. Please don't use packaging popcorn or packaging peanuts style of packaging. These products will not protect your cue or cue shaft, and they are messy. We really don't like them! 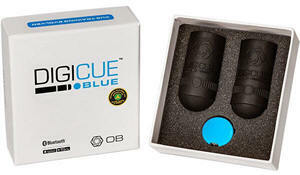 Don't pack the cue or shaft tight inside the box. Long narrow boxes or tubes are very often caught in the shipping machinery at the depot and the boxes are slightly bent when this happens. If your shaft or cue is too tight then it too will be bent which is damage and not a matter for warranty. If the shaft is properly padded, and still has room to move inside the box, then the box can bend a little and not bend the cue or shaft inside. The best package is the triangular tube offered by most carriers. USPS triangular tubes are the only exception to this. They are not strong enough to give proper protection. Always include OB product return form inside the box. Without this form, your return will not be processed. You must provide insurance for your product when you ship it.